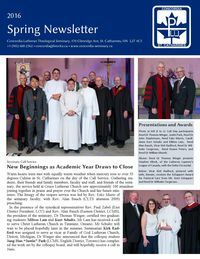 The seminary’s latest newsletter has been printed and is on its way to all congregations in Lutheran Church–Canada. But you don’t have to wait. Read it now here. There are stories about our graduates, students, and faculty.